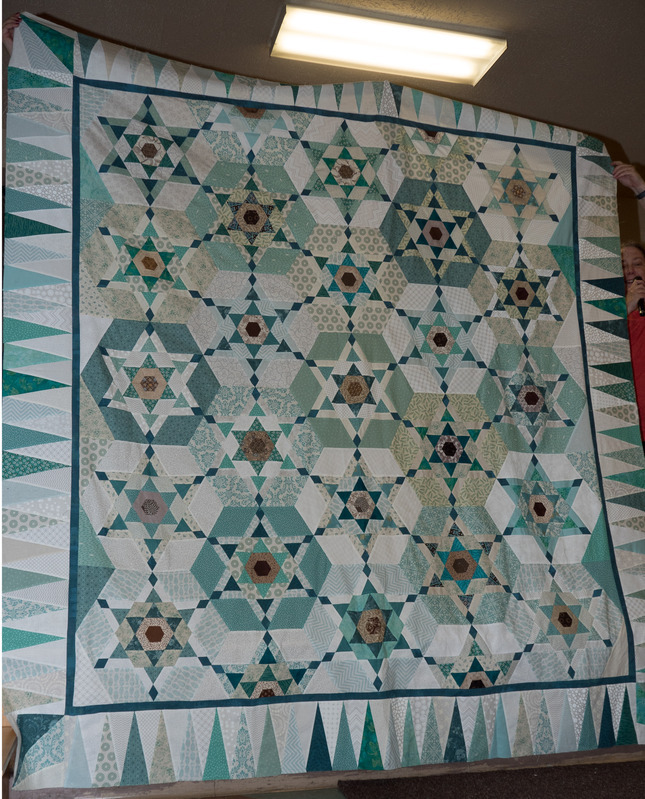 Susan’s Quilt: I got this quilt top in my Guild’s Auction and decided to use it to practice hand guiding the long arm… to mixed results. Eventually, some of the blocks were freehand, and some were programmed block by block. 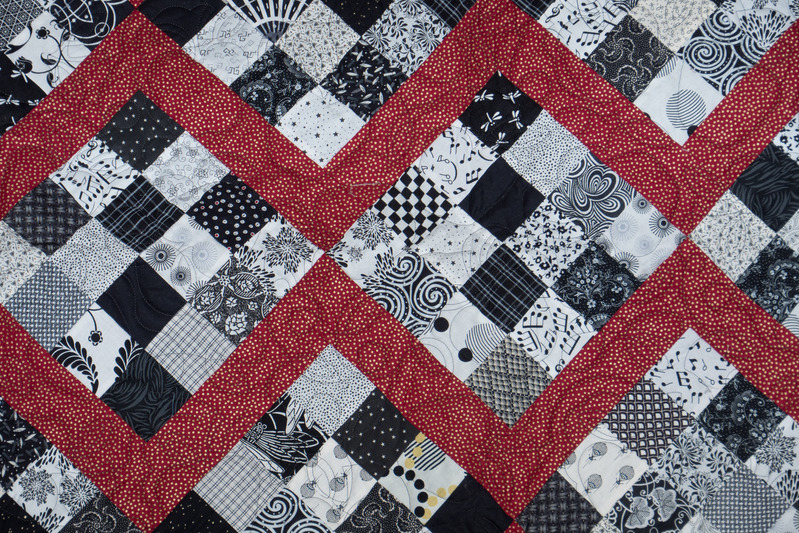 Detail of Susan’s Quilt on the long arm. Teal There was You was a “commission” quilt from my Mom to my brother David. Teal There Was You on the long arm. 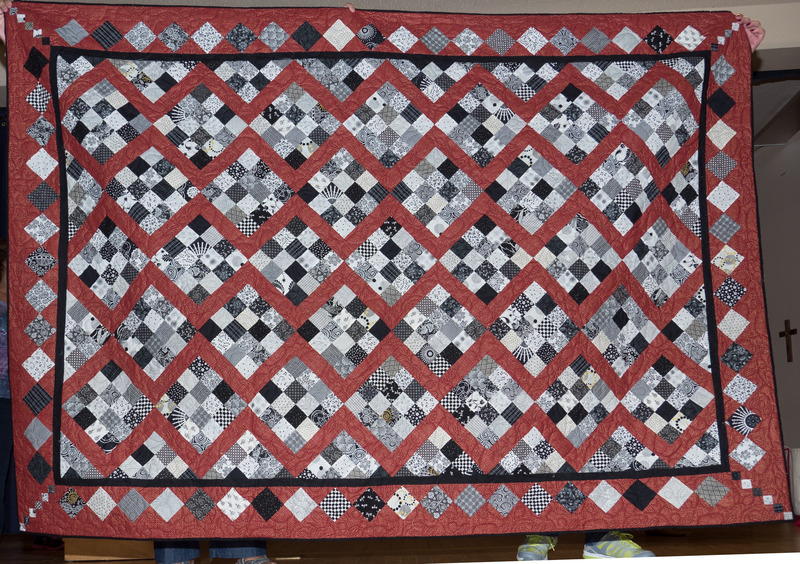 The Wrong Shade of Red was made up of blocks I took away from another quilt and turned into this one. 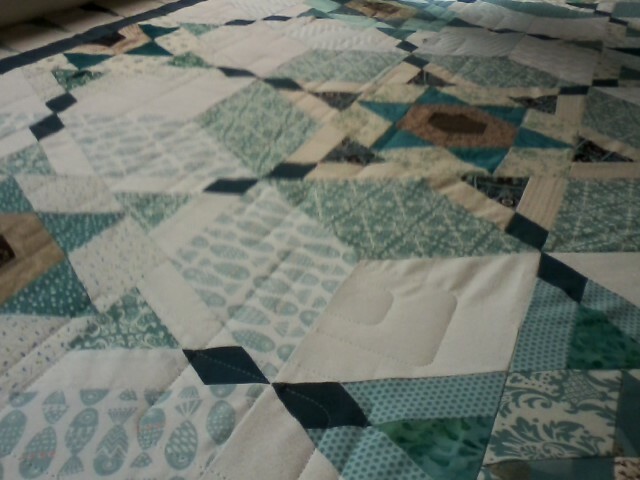 You can actually see the quilting in this photo. 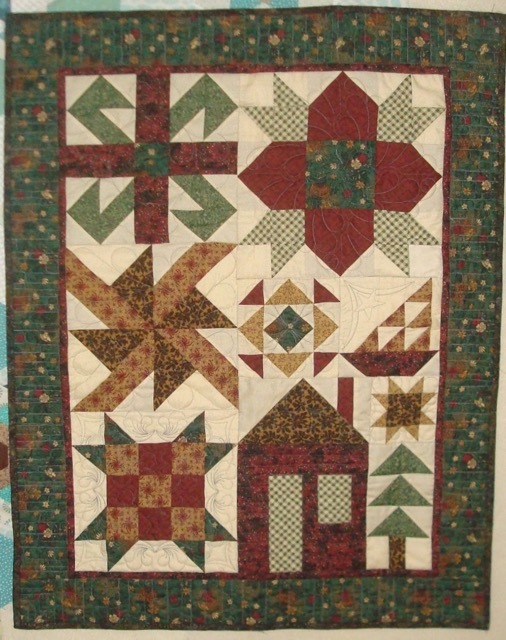 Some how apples seemed appropriate for a red quilt. 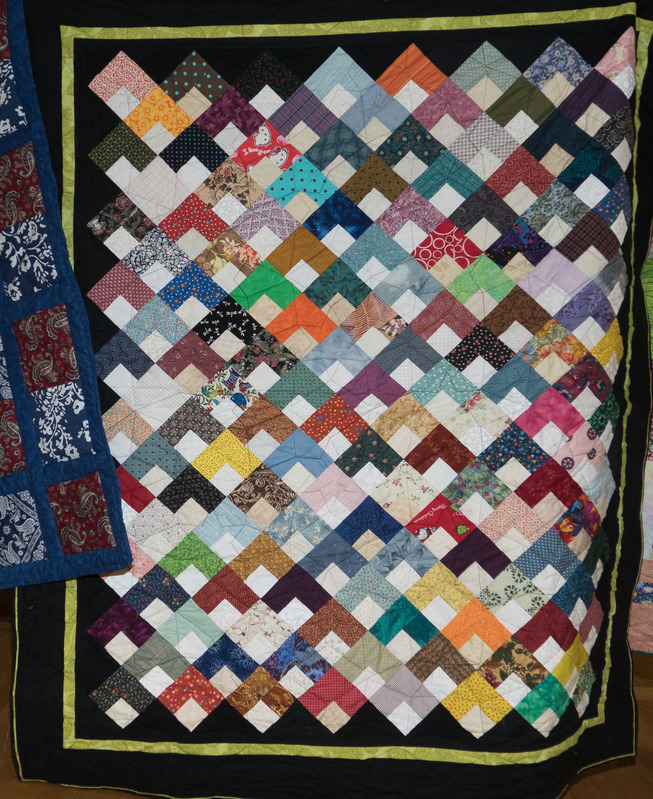 Comfort Quilts: My Guild has a committee that takes in quilts for various charities. 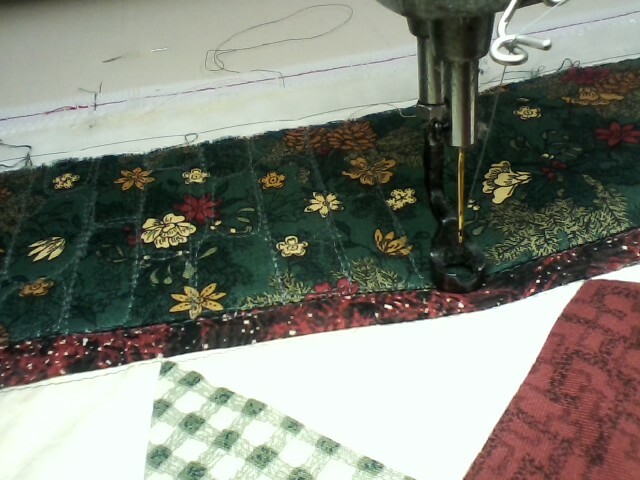 This year, in addition to making the Meezer Teaser Balls, I was able to finish three quilts for them. V is for Victory II, came out a little more satisfactory. I like the brighter colors in the original, but I’m sure someone will like this more muted version. 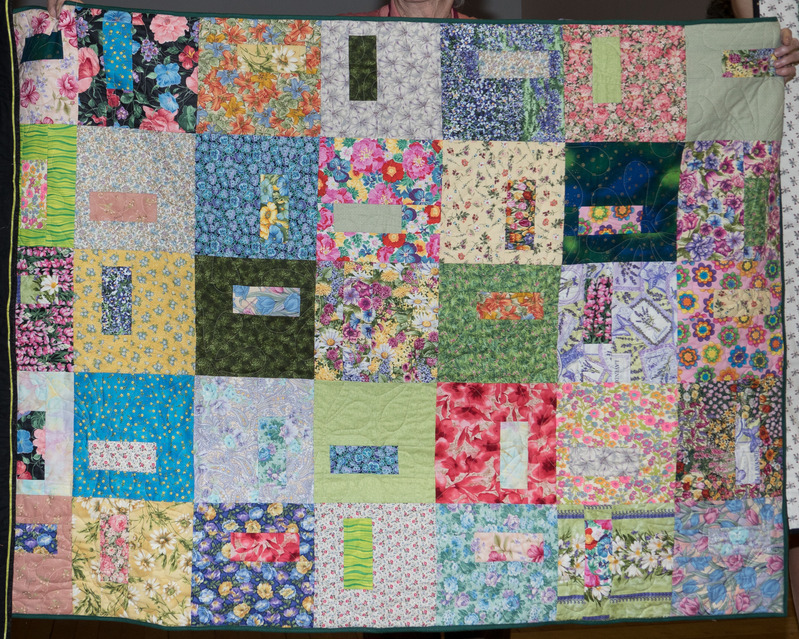 I called this quilt April Showers Bring May Flowers, and the quilting motif is big 1960s-like flower-power flowers. 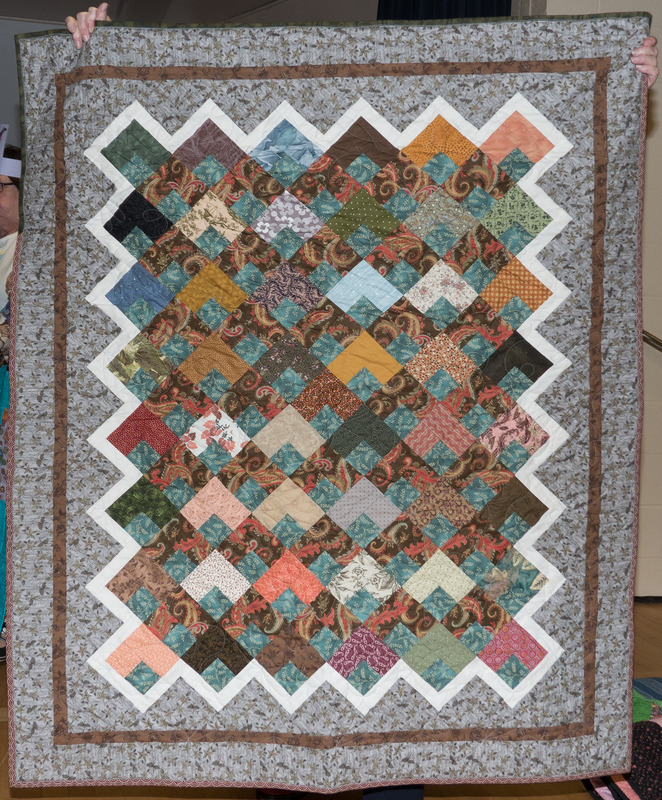 Made with the 10″ squares I won in my Guild’s layer cake raffle, the pattern can be found on the Moda BakeShop site.